TC or not TC ? TC or not TC? That is indeed the question raised and debated over and over again in photographers' fora. 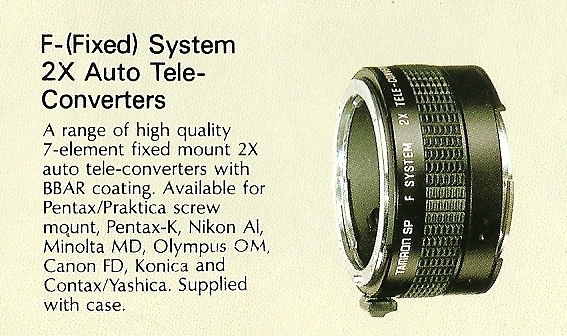 And the common wisdom says: "Tele converters means extra glass not optimized for the lenses they are used with. You will furthermore loose one or two f-stops with tele converters. Results has to be degradation of image quality! Over and out!" And much experience says: "I put a tele converter on my 200-300 mm lens and images were blurred and hazy. Tele converters are essentially useless and today - in the digital age - you might as well crop and enlarge to get equally good or better results." We ignore special circumstances under which the "tests" were made. For example, we all know that tele lenses are sensitive to hot rising air -generally speaking whenever the seeing is poor - so why not expect that adding a TC would make matters even worse - in this situation, and maybe this alone?!? We forget about certain possible constraints in our generalized discussions such as: How close can I get? Is that close enough?? Or, how close will I have to get? Is that too close?? There are other limitations than optical quality. For example most lenses will out-resolve almost any camera sensor available today. That is: The image of two close points may be resolved (:split) by the lens, but that image cannot be captured as separate points on the sensor because of the "coarseness" in the pixel-sizes. In technical jargon we talk about poor sampling. There may(?) be added benefits in certain cases, I'm almost sure: A TC may actually help flatten the field and help provide uniform sharpness over the entire filed. And, finally, some very down-to-earth issues: What do I have? What can I carry with me? What can/will I afford? The solution "go buy something else, more sophisticated and more expensive" (and more voluminous and more heavy) may be the ideal solution IQ-wise, but it needs not be the only realistic, practical and affordable solution. Ask yourself: Do I know my gear ? And, if so, can I produce better images with this accessory (in this case a TC) or not??? And my answer is: "Yes, you sometimes can!" There will always be other solutions. Surely some better and more costly; perhaps some cheaper; perhaps even some cheaper and better. But it all depends upon the circumstances and "common wisdom" and "self-evident" generalized rules are here to be always questioned and tested by yourself!!! So, basically, the reason for using a teleconverter will almost always be to get a larger image of a subject that is too far away, whether we are talking tele- or macro photos. (And then, maybe also to get a flatter field in a few cases). Therefore one test is quite simple: Will a cropped photo without TC be as good or even better than a photo taken with a TC? One area, where I find TCs useful is astrophotography, in particular lunar and solar photography with longer telephoto lenses: The lens outresolves the sensor and cropping to get the "last, minute detail" is not an option. Another, more subtle, is certain, mostly hand-held, macro work: An extension tube - without disturbing extra glass elements - may appear better and will often be so, but in certain situations I appreciate that the TC retains a comfortable working distance + better lightning conditions, with or without flash. So, here is a test that I made recently. You judge if it is "fair" or not. Because I did not test the "telephoto application" since seeing in my place (Danish City) is terribly lousy for the present (winter) time being and that degrades any telephoto test. Rather, I went for the "macro application" and photographed a stamp as shown below. The image uploaded is an 19.1% crop taken with my Tamron Adaptall-2 SP 35-80mm Model 01A at closest focusing distance. As adaptall-2.org says: "Amazingly, this lens yields very good macro performance across the entire film plane when used with Tamron's SP 2X tele-converter. " Next, I took 5 images with very careful focus - using 8X and 10X liveview - and thereafter another 5 with the Tamron F-series 2X Teleconverter at same closest focusing distance excersizing the same care with focus in liveview. What I present are 2 times 3 sets with and without TC. Images uploaded are actual 100% crops from images with TC and 200% crops from images without TC. Each crop is taken from different pictures randomly chosen. Now then, which are which? Feel free to evaluate. So take a break from the reading here and make your qualified guess. I have shuffled the crops around to make your assessment a little less straightforward.